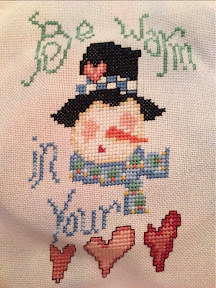 StitchyDonDesigns: Be Warm in Your Heart !!! I love the colours in this and the sentiment is lovely. Look forward to seeing it finished up.